About Ernie Pyle's life and works. 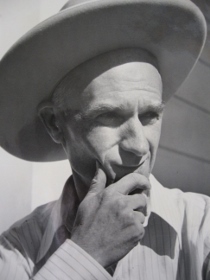 Ernie Pyle traveled throughout the world as a roving columnist for Scripps-Howard newspapers, often alongside his wife, Jerry. 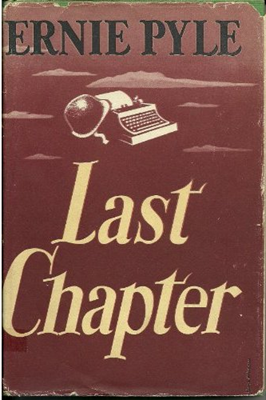 Both hailed from the Midwest but chose Albuquerque for a home in 1940 after visiting many times and developing, in Pyle's words, "a deep, unreasoning affection" for New Mexico and befriending Edward Shaffer, editor of the Albuquerque Tribune, and his wife, Liz. The 1,145 square foot house was built to their specifications for $3,848. 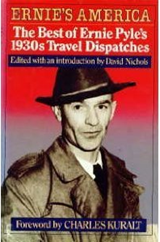 Wartime travel as a war correspondent kept Pyle far from home for months at a time, and some of his columns mentioned Jerry and the little white house and picket fence back in Albuquerque. Following the deaths of both Pyles in 1945, the home was bequeathed to the City of Albuquerque and opened as the first branch library on October 11, 1948. Ever since, the City has preserved it carefully for the many visitors who stop by from the neighborhood, all the United States, and many other countries. A number of photographs and some memorabilia are on display in the library, including copies of his books and scrapbooks of articles. A memorial, Brave Men by Willard Schroeder, is located on the south lawn, where the grave of the Pyles' dog Cheetah can also be found. In 2006 the Ernie Pyle Library was awarded Historical Landmark Status. Section 12-5-4 - August 3rd designated Ernie Pyle Day. In appreciation of the splendid work as a writer and war correspondent, and the great credit reflected upon the state of New Mexico by Ernie Pyle, one of her outstanding citizens, his birthday, August 3rd, of each year, is hereby designated as Ernie Pyle Day, upon which appropriate ceremonies shall be held in his honor and in honor of all members of the armed forces of the United States serving so valiantly in the present world war [World War II]. Ernest Taylor Pyle was born in Dana, Indiana on August 3, 1900, and grew up on a farm. He enrolled in Indiana University in Bloomington in 1919, where he took journalism classes and was a member of the staff on the college paper. Ernie left school in 1923 to work at a local paper, but he soon moved on to Washington, D.C., beginning a long affiliation with the Scripps-Howard newspaper chain. In 1925, he married Geraldine “Jerry” Siebolds, a Civil Service clerk from Minnesota, and in 1926 they quit their jobs, bought a Ford roadster, and set out to tour the United States, ultimately traveling 9,000 miles in ten weeks. 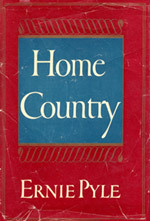 After years of enjoying the freedom of the open road, in June of 1940, the Pyles decided to build a home in New Mexico, a state they had visited and liked, as “a sort of home plate”.3 Jerry arrived to start moving into the house in November, the same month Ernie left for England to begin reporting on World War II. Although already famous, it would be his personal, soldier-oriented dispatches from military theaters overseas, read avidly by millions, that brought him the highest acclaim. By April 1942, Ernie and Jerry, whose marriage had become rocky, had divorced. Ernie was worried about Jerry’s mental and physical well-being and hoped “a fresh start would give [her] strength and interest”.4 Instead, Jerry went into a sanitarium in Colorado and Ernie went back to England, and then to Africa, including Morocco, Tunisia, and the Belgian Congo. He continued to correspond with Jerry, and while he was in Accra in March 1943, Ernie learned that Jerry had remarried him by proxy, a “proposal” he had made the past November, as they both regretted the divorce. There was no time for the couple to rejoice, though, as Ernie joined the Sicilian invasion. He did not return to New Mexico until autumn, and all too soon he was back in Italy, where he encountered his most famous subject, Captain Henry T. Waskow. 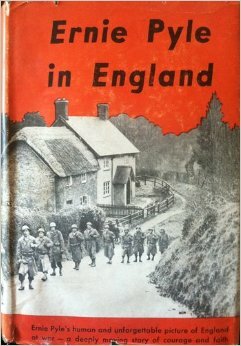 In 1944, the year he was awarded the Pulitzer Prize for distinguished war correspondence, Ernie was back in England to cover D-Day, moving on after the invasion to visit several units at the front before returning home. Jerry had had health problems while he was away, and after spending time with her in Albuquerque, the Pyles left together in December 1944 – Ernie to join American forces in the Pacific, and Jerry to enter a private hospital in California. Ernie never returned to New Mexico. He was killed by enemy fire on the Island of Ie Shima on April 18, 1945, the 30th American war correspondent to die in WWII. Jerry was back in Albuquerque by this time. She was well enough to attend a memorial service for her husband at UNM in May and went to Washington, D.C. to collect his posthumous Medal for Merit in July, but by autumn, her health had declined, and she died on November 23, 1945. Here are some collections of Ernie Pyle's writings that can be borrowed from the library. "We like it because we have a country mailbox instead of a slot in the door. We like it because our front yard stretches are far as you can see, and because Mount Taylor, sixty-five miles away, is like a framed picture in our front window. "...We have seen sunrises so violently beautiful they were almost frightening, and I'm only sorry I can't capture the sunsets and the thunderstorms and the first snows on the Sandias, and take them East and flaunt them in people's faces. "We like it here because no more than half our friends who write us know how to spell Albuquerque. "We like it here because we're on top of the world, in a way; and because we are not stifled and smothered and hemmed in by buildings and trees and traffic and people. We like it because the sky is so bright and you can see so much of it. And because out here you actually see the clouds and the stars and the storms, instead of just reading about them in the newspapers. They become a genuine part of your daily life, and half the entire horizon is yours in one glance just for the looking, and the distance sort of gets into your soul and makes you feel that you too are big inside."